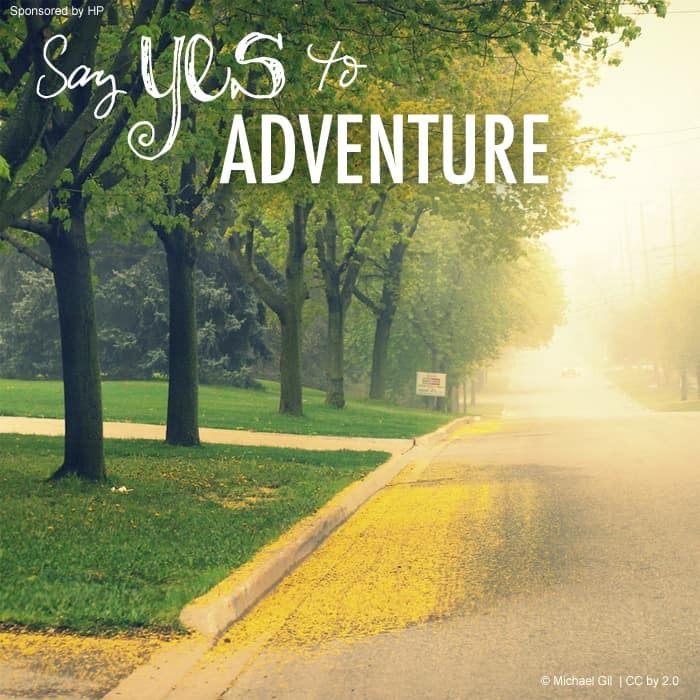 Say YES to adventure. 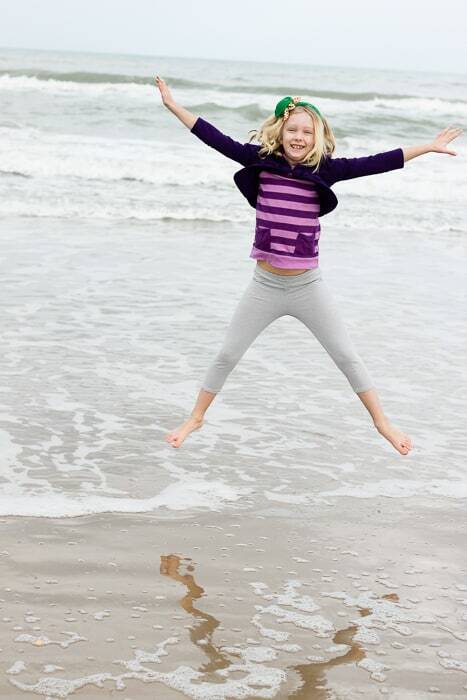 Honestly, with kids… life is a constant ADVENTURE. Ironically, taking a relaxing family vacation can feel more stressful than just being home with the kids. Traveling with your kids is a great way to open their eyes to the wonders of the world. Parents need to band together to share advice so WE can survive the adventure with happy memories, too! The most helpful family traveling tips I’ve received have always come from fellow parents vs. books or magazine guides. On each trip we learn something new to carry over to our next vacation. As Modern Parents, we are constantly trying to balance screen-time. Friends, this is NOT something to worry about when you’re stuck in the car for hours on end. Don’t be afraid of letting your little one pass the time with a movie or video game. Your children may be well-behaved, but even an everyday sweetie can turn sour on a long road trip. A little reminder that… A Great Movie + Headphones = Relaxing Front Seat Coffee Date for Mom & Dad. 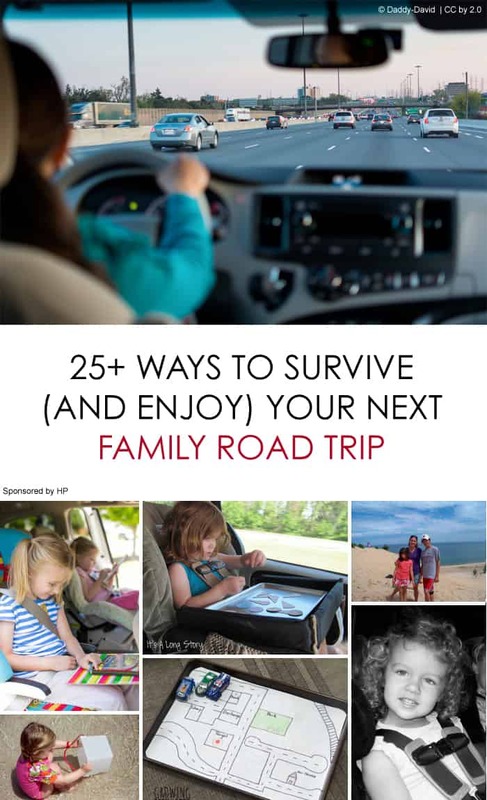 This summer our family is taking two ROAD TRIPS so I asked a few fellow parents from the Kids Blogging Network to share a few of their favorite travel tips. For more confident, cooperative little travelers, you can start preparing kids for long journeys by chatting about what to expect in the weeks beforehand as well as during the trip itself, with this Toddler Travel Timetable from Kids Play Space. 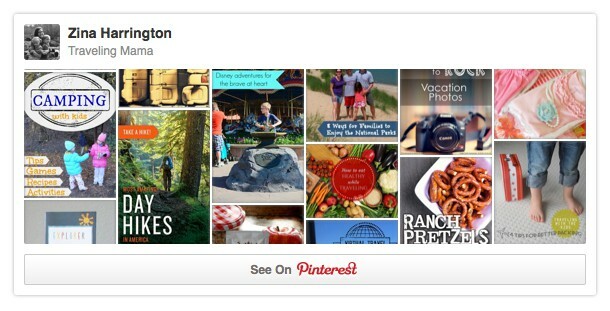 For ongoing family-friendly tips be sure to follow my Traveling Mama Pinterest board. This summer we are staying fairly local. We’re heading to Bear Dunes National Shoreline and Voyageurs National Park. Last year we drove out to the Badlands and Black Hills of South Dakota. THAT trip was amazing in ways I never expected (read why here). As the girls get older, I daydream of more adventures: Yosemite, Glacier National Park and.. the Redwoods in California. So amazing! Disclosure of Material Connection: I received one or more of the products or services mentioned above for free in the hope that I would mention it on my blog. Regardless, I only recommend products or services I use personally and believe will be good for my readers. I am disclosing this in accordance with the Federal Trade Commission’s 16 CFR, Part 255: “Guides Concerning the Use of Endorsements and Testimonials in Advertising.” I wrote this review while participating in a program on behalf of HP and received an HP PC, an HP printer, an Instant Ink starter kit, a Snapfish gift card and other items as part of my participation. « 30+ Awesome Dinosaur Activities for Kids … ROAR! My daughter is completely mesmerized by “Frozen”. Our kids don’t get to any tv or movies, so I imagine any movie would memorize them. My children are obsessed with the old Transformers movies. My children absolutely LOVE the Lorax! My toddler is obsessed with Baby Einstein’s version of Wheels on the Bus and TLC’s The Little Couple. Pls could u pls tell â™ÌÎ²µÌ£Ì£Ì£Ì¥ d best diet that would be good for a flat tommy . I wanna know d bad Nigerian dishes Â² let go off inorder Â² keep fit. Have to use gasoline again and you move on to a neighborhood convenience store. Are you looking to buy an , you will not have to use gasoline again and you move on to a neighborhood convenience store. I go back and forth on strength training. I’ll do it for a few weeks, stop, pick it back up again, stop. You get the idea Now I’m back on the strength training wagon but am being realistic about it – 2 or 3x a week. money without any good reason. Suzhou gardens or the venice of the east as it is also known is a peaceful place to visit when your in Jiangsu Province, China. coming from a more remote place that doesnt have a train line. that you will find amazing. We always packed a cooler with snacks and drinks and lunch for our 10+ hours up and down the east coast. Also take advantage of rest areas and bring a ball to kick around, a frisbee, etc. Gets everyone’s bloods flowing! (and this became all that more important when I had a DVT a week before our vacation one summer when the kids were still in elementary school). Remember books, etc for bedtime routines. But books on tape in the car are amazing time killers as kids listen to their favorite authors read out loud. And a lesson we learned last night. Make sure your credit card is good to go. Ours had been hacked a few weeks ago and I missed the email lost in junk emails. Granted the majority of activity has been within the past week. But now we are traveling “light” with 1 credit card (useless), 1 debit card, and a little cash. Ironically, there are 2 other credit cards at home – useless- as we do the spring break college tours for our oldest child.